Cruises are popular all around the world, with a long list of destinations to be enjoyed. From tropical Caribbean island paradises to the shores of African and Asian nations, cruises off a huge array of options and an almost endless list of beautiful sights to see and activities to enjoy. Not only that, cruises are also one of the most relaxing ways to travel; the staff and crew members do all the hard work for you, allowing every passenger to kick back and relax without a worry in the world. There are many different types of cruise. Some stop off at picturesque island beaches, while others are more centered on wildlife-watching or historical shoreline locations. 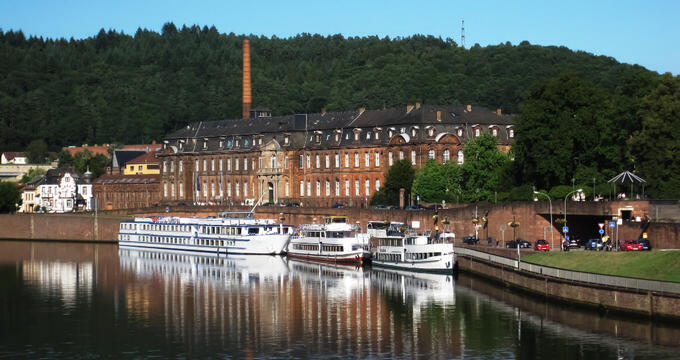 Then, there are river cruises. River cruises are most commonly enjoyed in Europe, home to some of the world’s longest and most historic rivers like the Danube and the Rhone. If you want to experience the wonders of ‘La France’ by boat, a French river cruise is the best option. There are various river cruises to be enjoyed all around the country along major rivers like the Rhone and Garonne. Read on to learn all about the best options. The 7 Night Lyon & Provence Southbound from Viking River Cruises is one of the best-rated French river cruises. It begins in the beautiful city of Lyon, home to some of France's finest cuisine and prettiest architecture, setting off for stops at Vienne, Tournon, and Avignon. The latter city is perhaps the most beautiful part of the entire cruise, with Avignon being protected by medieval walls which truly need to be seen to be believed and mazes of narrow streets to be navigated. Visitors shouldn't miss out on the Palace of the Popes in Avignon or the major historical sites in Tournon and Vienne as well. This cruise can also be enjoyed in a ‘Northbound’ variety, starting in Avignon and ending in Lyon. Uniworld is one of the leading names in the river cruise business and their Paris and Normandy tour is simply unbeatable for anyone wanting to enjoy the French capital from the comfort of a cruise ship. This is an 8-day tour, taking in some of the most delightful locations of Northern France including the medieval city of Rouen, the historic beaches of Normandy, and the landmarks of the 'City of Love' like the Palace of Versailles and the Eiffel Tower itself. Everyone from history buffs to Francophiles will adore this river cruise and there are lots of different activities to try out along the way. We're back with Viking River Cruises for this unmissable 7 Night Chateaux Rivers & Wine French river cruise. As the name suggests, this cruise explores one of France's most iconic wine cities: Bordeaux. The Viking Forseti cruise ship sets off along the Garonne River, taking in the sites of cities like Cadillac, Libourne, Bourg, and Blaye. Travelers on this French river cruise will have plenty of chances to enjoy some of France's finest wines and tastiest regional delicacies, so this is a great tour for folks who want to indulge their senses and appreciate some of the finest food and drink in all of Europe. The scenery along the way is also exceptionally beautiful, and you'll definitely want to have your camera ready to preserve some of the magical memories to show your family and friends back home. For a full French river cruise experience that simply can't be beaten, try the Ultimate France tour from Uniworld. This is a 22-day cruise, offering just over three weeks of pure bliss as you cruise along from Bordeaux to Avignon, taking in major cities like Paris and Lyon along the way and traveling along some of France's most iconic rivers. This cruise is designed for people who want the most in-depth French experience. On one day, you'll be tasting wines in Bordeaux, on the next, you'll be visiting WWII locations in Normandy. You’ll see the Eiffel Tower, the bustling Lyon food markets, the medieval walls and ancient ruins of Avignon, and so much more.